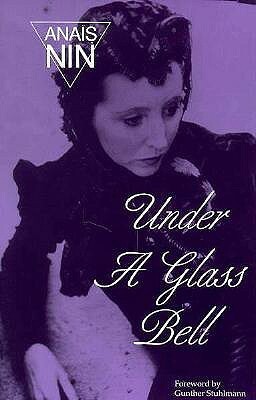 Under a Glass Bell was self-published by Anaïs Nin in 1944, using a manual press. This collection of thirteen short stories, beautifully crafted in a style influenced by French surrealism, but uniquely Nin’s, brought her national attention when Edmund Wilson of The New Yorker reviewed it. Considered one of Nin’s most successful works of fiction, the tales attain psychological realism through illusory symbolism. Despite knowing her name, this was my very first Anais Nin. Coincidentally, this book was also part of her earlier works. Under A Glass Bell is a beautiful collection of short stories. The stories in this collection, while all very beautiful, are all kind of bizarre. Everything has a element of the absurd to it. Metaphors and similes take on lives on their own in these stories, where the people go about their lives as if they, too, were metaphors and similes, extensions of the real. My favorites in this collection were Houseboat, The Mouse, The All-Seeing, The Eye’s Journey, and Through the Streets of My Own Labyrinth. The language of these stories is exquisite. Though I had trouble following some of the stories, they were just so gorgeous that I kind of didn’t even care. I adore Anais Nin and everything she ever wrote. I was not aware of this collection of short stories, thanks for reviewing it, you have brought it to my attention 🙂 Have you had the opportunity to read some of her diaries? I am hopeless at diary entries, and I love the simple exquisiteness of her entries. No I haven’t….what else of hers would you recommend?